Every bride deserves the most magical wedding day ever! At D'Vine our aim is to give you just this... the finishing touch to complete your special day. Contact our team to discuss your ideas & together we'll determine the exact style for your perfect wedding. 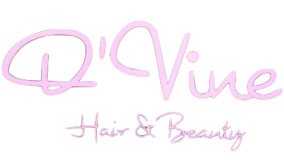 Our team at D'Vine will take care of your entire party, we cater for small or large groups & your bridal party is welcome to book out our entire salon for the big day. We can come to you if this best suits your wedding preparation plans. - We recommend you use quality salon products only for 3 months prior to the wedding. - Hair should be washed one day prior to your wedding day with no product applied - this will ensure the best results.